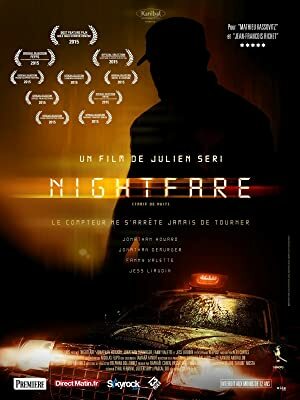 Night Fare (2015) – What's New on Netflix Canada Today! Aka Tarif de Nuit. – After a long two-year absence, the British Chris heads back to Paris intending to rekindle his relationship with his ex-girlfriend Ludivine, and his estranged Frenchman friend, the cocky Luc. To celebrate their reunion, Luc takes Chris for a wild night out downtown; however, things will soon take a turn for the worse when Luc decides to bilk a taciturn Paris cab driver on their way to the apartment. And just like that, an endless night of terror begins for the pair who skipped out on the fare, as the relentless and unstoppable wronged driver will hunt them down across the empty night streets in his jet-black taxi of doom. The meter is still running. Can the friends escape their debt?